In case you have lost your vehicle key or need a spare, you will need vehicle key making services. In such cases, Al Baraka Al Jadeed Lock Repairing services are readily available round the clock in Dubai. In case you are stuck due to lost vehicle key or non-functioning of the original key, we help you rescue from being a pedestrian with our on-site key cutting services. 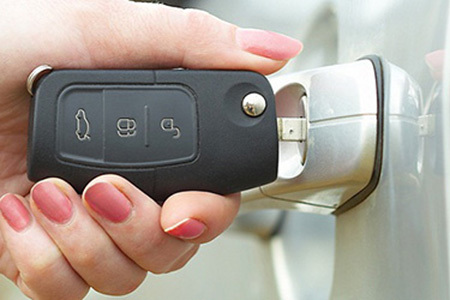 We have a team of qualified vehicle key making locksmiths who are ready to serve you anywhere in Dubai. They will provide you the replacement key by designing it with modern vehicle key making equipment. However, you have to provide the legitimate ownership of your vehicle which does not involve any complexity. The verification is done to comply with the legal formalities. You can call us at 055-7424211 for fast and reliable services if you are looking for vehicle key making in Dubai. Our skilled locksmiths are capable of cutting and programming keys for all types of vehicles. We are providing our splendid services for more than 20 years. We assure you to serve you at the most reasonable prices. Call us now for any query or quick and affordable vehicle key making services.